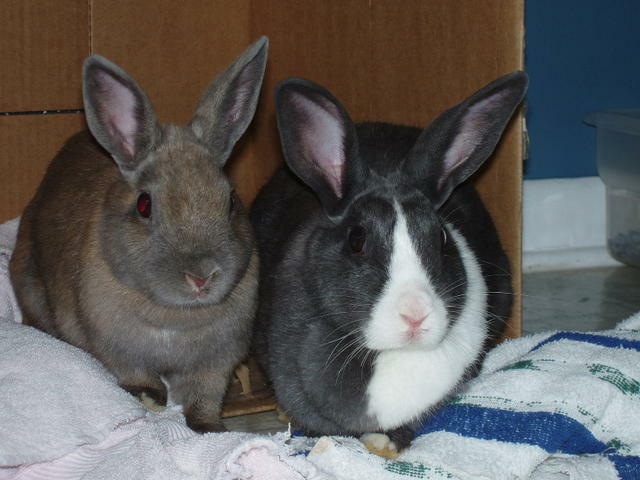 I found out late last night that over the weekend Susan had to make the tough decision to euthanize SweetPea. She has been sick for several months and I know Susan did so much for her. Last week she took a turn for the worse and wouldn’t eat, drink or move. After trying several things she decided it was time to let her go because she was in pain and not getting any better. 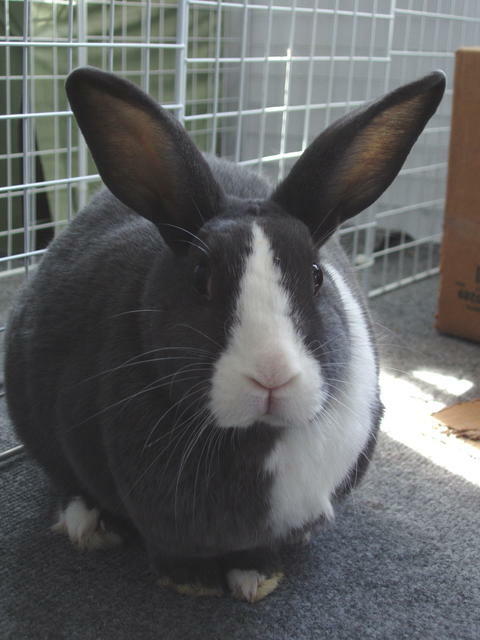 SweetPea was an incredibly sweet bunny who loved to eat and would always dance for treats. She would chase her sister away from the pellets every morning. She would let you pet her for hours if you had the time, she had perfected the foot flick and always let you know when she was mad at you! 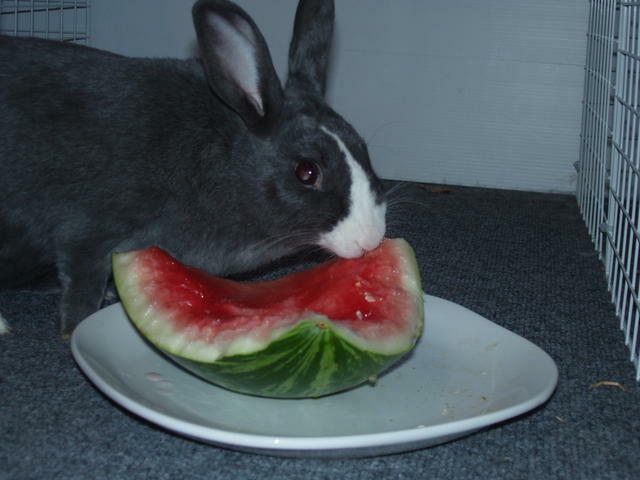 She was a sweet bunny and I enjoyed the time she spent with us. The first day SweetPea and RoseMarie came to live with me.